On Monday morning I was walking through the halls at work (on my way to pump, of course) and thinking about my amazing Baby2. I was contemplating when she would roll over because I was thinking its about time for her to do that already. I made a mental commitment to do more tummy time to help her along. A couple hours later, I left work because of the cold I had woken up with on Sunday morning (Mr. Handsome had it first!). I had lots of soup and fluids but I still feel yucky today and I’m home for the morning at least. Anyway, I put Baby2 on her belly for a bit yesterday afternoon. She was doing so well at baby push-ups so I pulled out my phone. To my surprise she decided to roll over then and there! And I caught it on video! I feel super lucky to have been around for this first, but catching it on camera is a sweet bonus! I’m trying not to think that I would have missed the moment if I hadn’t left work to nurse my cold. Sigh. 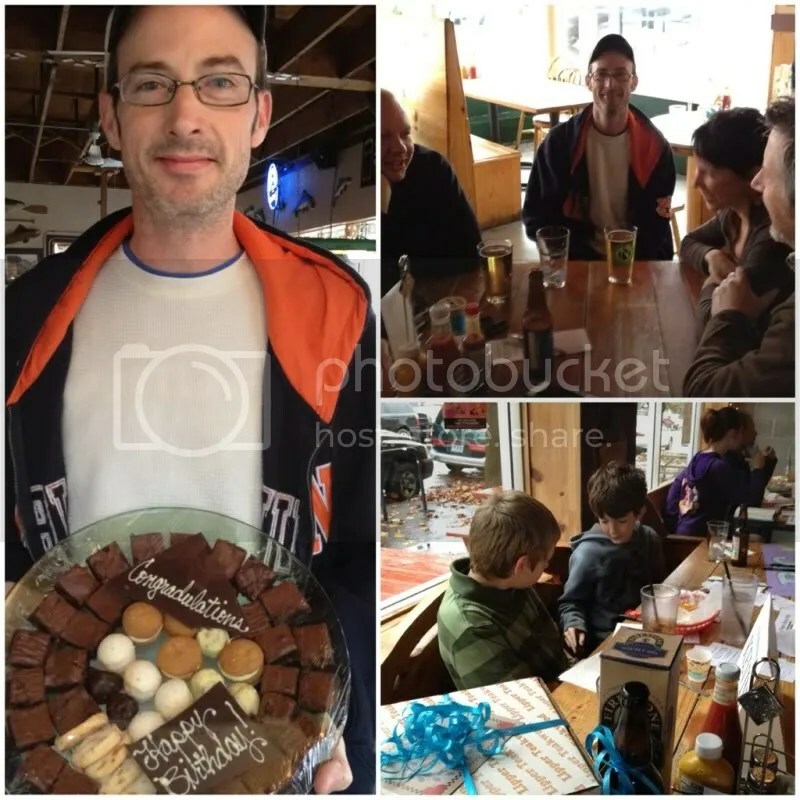 In other surprises, this weekend we had a surprise birthday party for Mr. Handsome. Kiddo1 helped me organize it and it was very fun. We had a good time planning it together – he helped me pull off the secret for over two weeks! Mr. Handsome seemed pretty surprised. We had a pretty good turnout, lots of kids playing arcade games and friends sharing beers. I hope Mr. Handsome enjoyed his birthday! Posted in Child Development, Working Mama and tagged baby milestones, birthday, child development, infant, working mama. Bookmark the permalink.